Hiking pleasure or mountain biking experience in a magnificent mountain landscape with beautiful views and the sunshine - now a comfortable rest and refreshments in the Sunnseit hut! The hosts will gladly serve you a hearty snack and something refreshing to strengthen. 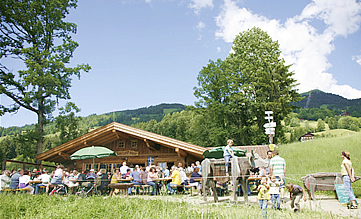 On foot or by car the Sunnseit hut is easy to reach and also a worthwhile destination for an afternoon coffee and cake or a glass of fine wine in the countryside. Enjoy on this wonderfully sunny place long-distance views of the mountains and relax! 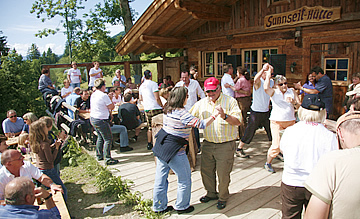 But the Sunnseit hut can do even more!